Weight Watchers is a practical example of how an established corporate can effectively engage with customers in the digital world. Having always engaged with its customers face-to-face for decades, the majority of their sales now come from digital. 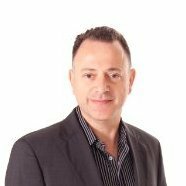 In this episode, Weight Watchers’ Director of Marketing and Commercial Business AUS/NZ Tony Karras takes us through his thoughts on focusing on the “why” rather than the “what” of digital marketing strategy is the way to provide the best customer experiences and commercial outcomes.